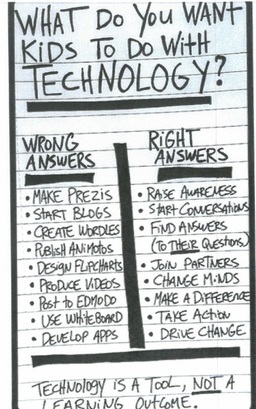 This image, from the Ventura Unified School District's technology webpage, tells exactly how we are hoping to use technology this year, both with our classroom iPads and in our computer lab. IPads will be used to enhance learning in all subject areas throughout the year. Stay tuned for specific implementations!